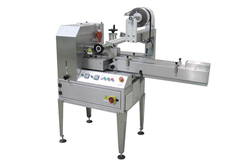 - All working parts of the machine coming in contact with the product and packing material will be stainless steel 304. - Reel feed arm with compensator. Best in working, these Vertical Flow Wrap are quality approved by professionals before presenting in the market. These flow wrap are damage free and accessible from the market in various details. 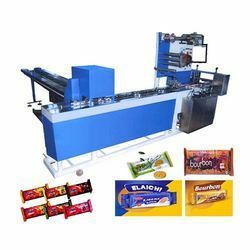 Moreover to this, these longer life and easy availability in market in proper packing. Empowered with enhanced technology and excellent workforce, we are involved in the manufacturing of a precision engineered range of Continuous / Peddle Sealing Machine. These machines are fabricated using premium quality materials and components and are known for its high tensile strength, corrosion resistance and high operational fluency.